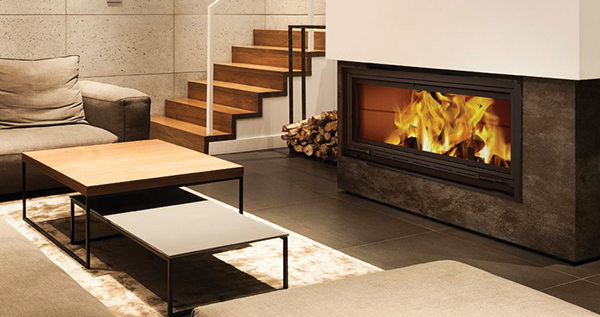 The Caldor is an exceptional wood insert fire that can heat large open areas or be ducted into one or two extra rooms. With an enormous combustion chamber that can take logs up to 760mm long, this fire will heat huge areas with ease. The guillotine front glass door glides up and down effortlessly and provides an impressive viewing area of 1130 x 394. Will take log lengths up to 760mm. Optional hot air diffuser ducts. (2 x 200mm) Triple skin flue system. The Kjell free standing wood heaters are designed with simplicity in mind. The Andor free standing wood heaters are designed with simplicity in mind.